NEW, Pre-cut Kraft Paper in Kraft and White. Choose from our 25 lb. packs or our 50 lb bundles. 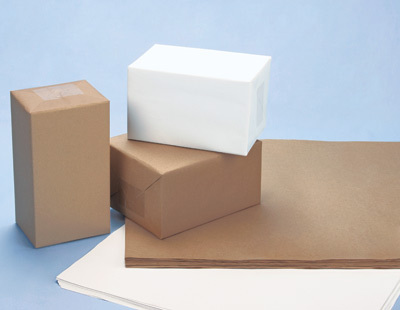 Our White Kraft sheets are made from 50# basis weight Kraft paper and our Natural Kraft paper is available in 30#, 40# and 50# basis weight Kraft paper. Made from Recycled Kraft Paper. Allow 2 days to ship from our factory. 30x40" 40# pre cut kraft paper sheets. Approximately 450 sheets per bundle.